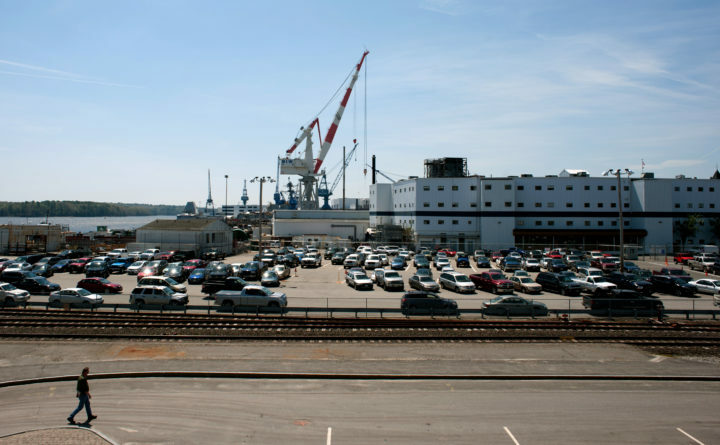 Bath Iron Works, the city of Bath and the Maine Department of Transportation have undertaken a traffic study of the city’s south end neighborhoods in an effort to address the need for additional parking and “conflicts” between cars and pedestrians. The $75,000 cost of the study will be split evenly among the three stakeholders, Bath Assistant City Manager Marc Meyers said Thursday. The Bath City Council approved the expenditure as part of its capital budget, he said. The study will focus on improving pedestrian safety — particularly along Washington Street and between BIW off-site parking and the main shipyard — reducing the impact of vehicular traffic on neighborhood streets, and either increasing parking or reducing the need for it, according to the release. In February 2016, Paula Caruso, 70, of Wiscasset was struck by a car and killed in a crosswalk on Washington Street as she walked to work at Bath Iron Works. The city will hold a meeting on Sept. 20 to hear public comment as the study begins to identify possible improvements, and then another meeting in December, according to the release.